World-wide collectors, like Mr Melz with his custom Datura lamp, commission Preston Studios at times for specific lamp designs (seen here as in the Wardell Publications eBook "Lamps for the 21st Century"). This is handled now exclusively by Timothy's Gallery in Winter Park, Florida. 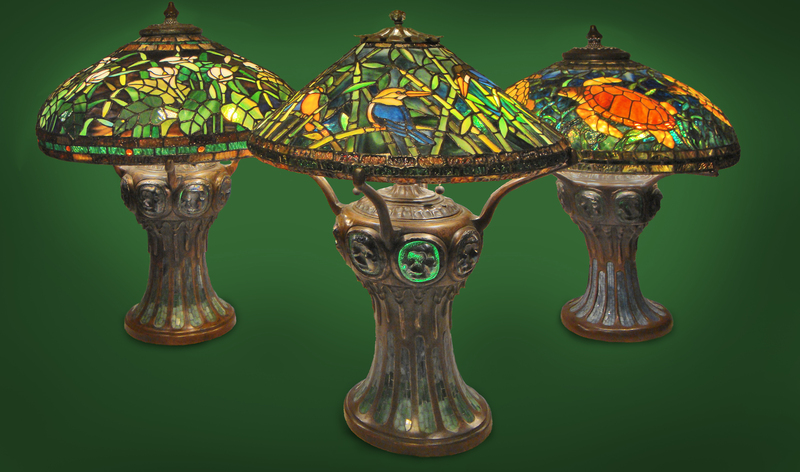 Collectors world-wide enjoy the unique new lamp designs of Preston Studios. 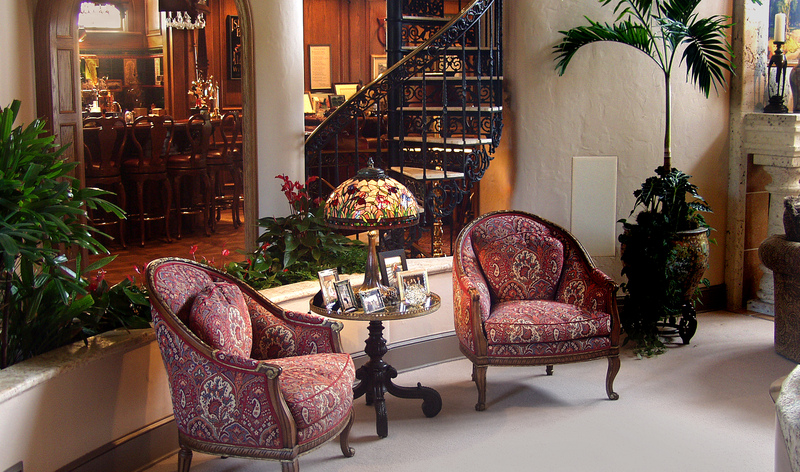 Disney designer Fred Rodgers based the decor of the Nunis reception hall in Isleworth, Orlando, Florida around the first of Preston Studios large scale Irises. As seen in the Wardell Publications eBook "Lamps for the 21st Century." 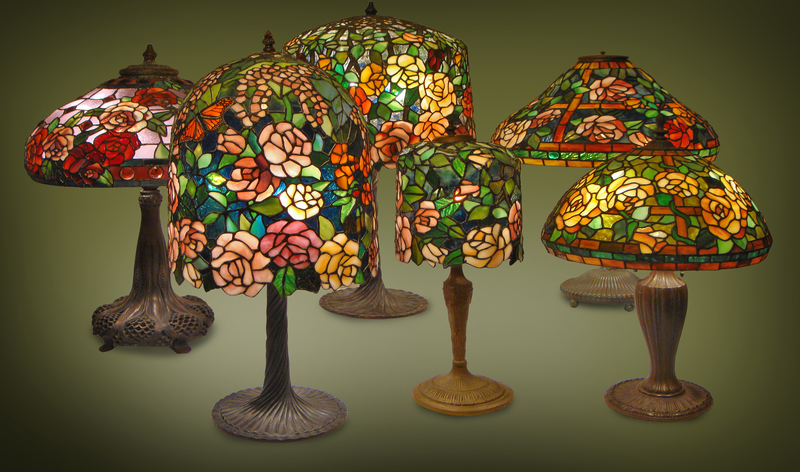 Very few antique Tiffany shades were ever created portraying Roses. Preston Studios has created many new such designs on various shaped molds - globes, domes, cones, and bells. Unique new designs by Preston Studios run the gamut. 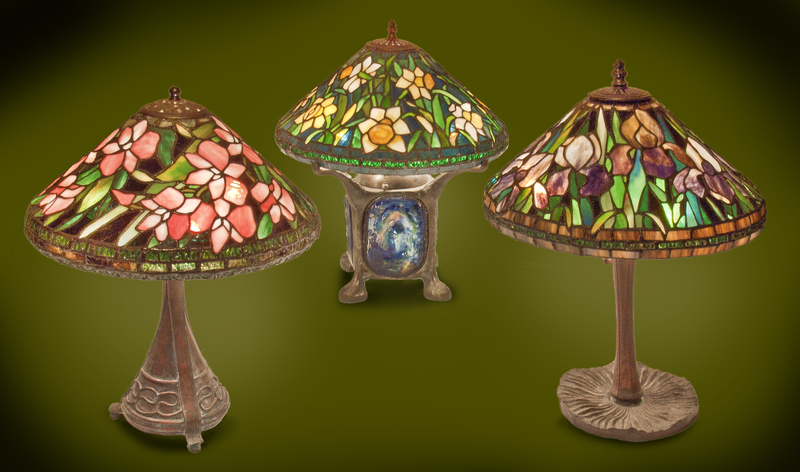 Here we see three 22 inch large globe shaped shades, including Day Lilies, Morning Glories, and Orchids. 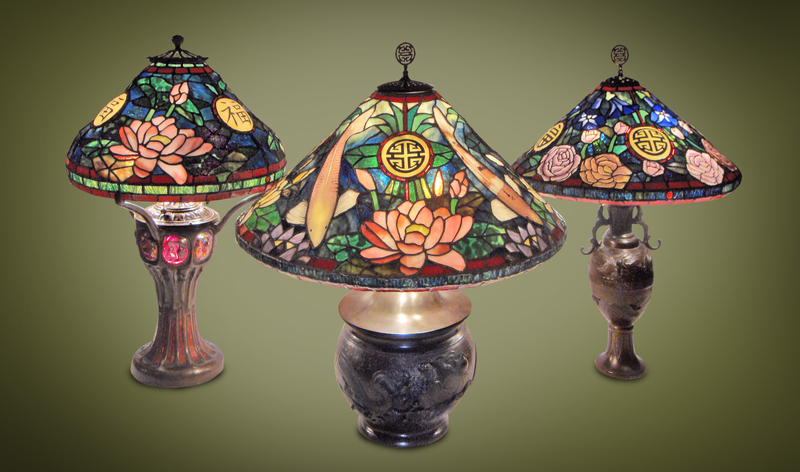 Not only are these images brand new 21st century lamps, they use glass to new affect not seen before, like in the background to the Orchid lamp. 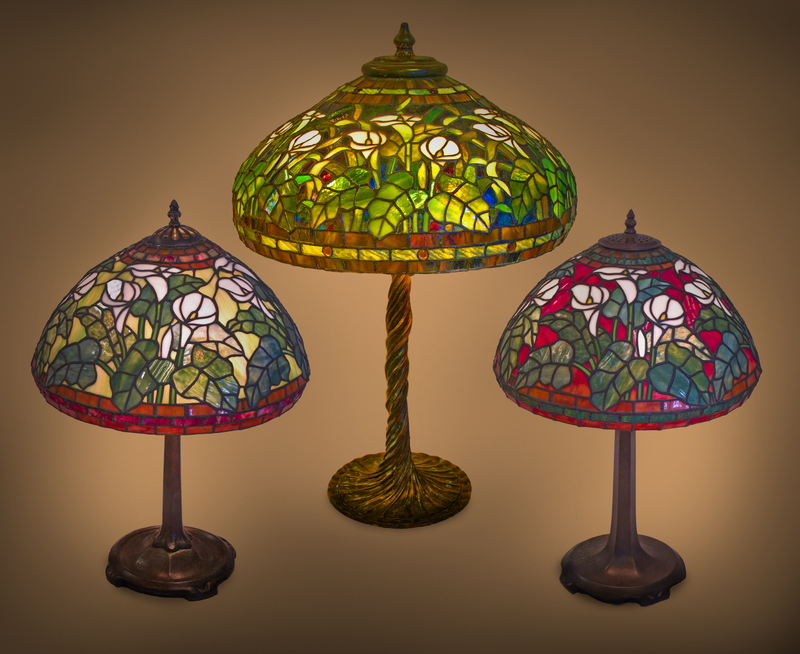 One of the very first original designs that Preston Studios developed in the late 1970s was that of the Calla-Lily, a flower never portrayed in antique late 19th/early 20th century lamps. 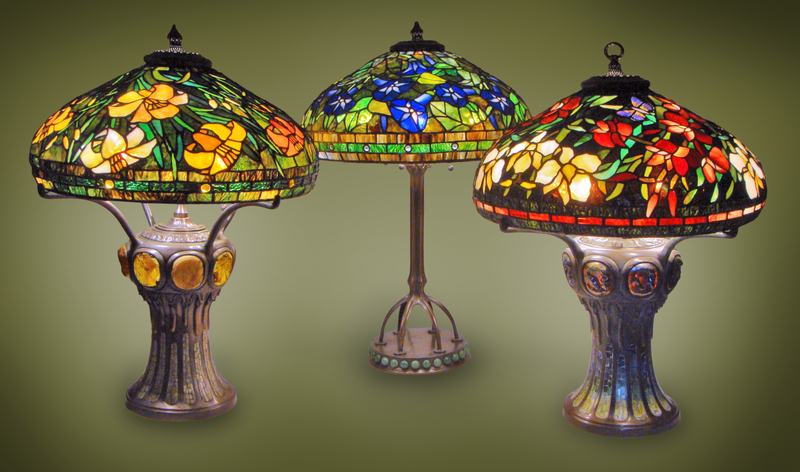 As seen in the Wardell Publications eBook "Lamps for the 21st Century." Not all Preston lamps are large. Here we see three small 16 inch cones on various subjects: Pink Orchids, Daffodils, and Iris. 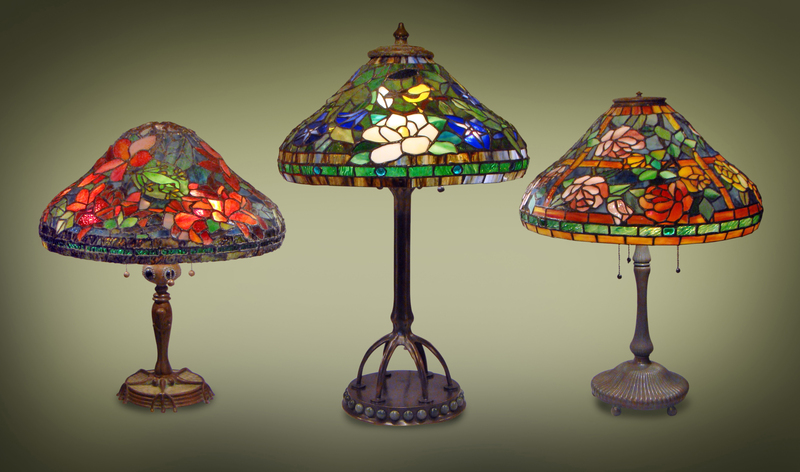 Amazingly there are no antique Tiffany iris lamps on record - Iris lamps are a very 21st century Preston Studios phenomena. Preston Studios often uses molds to work on that are not seen in antique Tiffany & Co shades, like this "bell" shape. Placing new concepts on these forms makes them very 21st century original new creations. 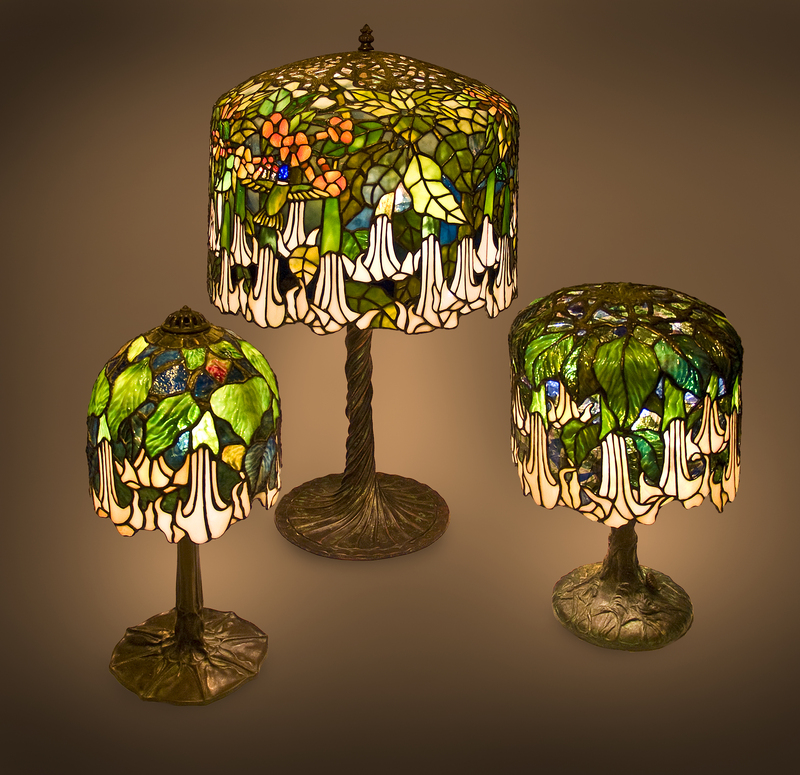 Something never seen in the early 20th century in stained glass lamps was the Datura or "Angel Trumpet" flower. 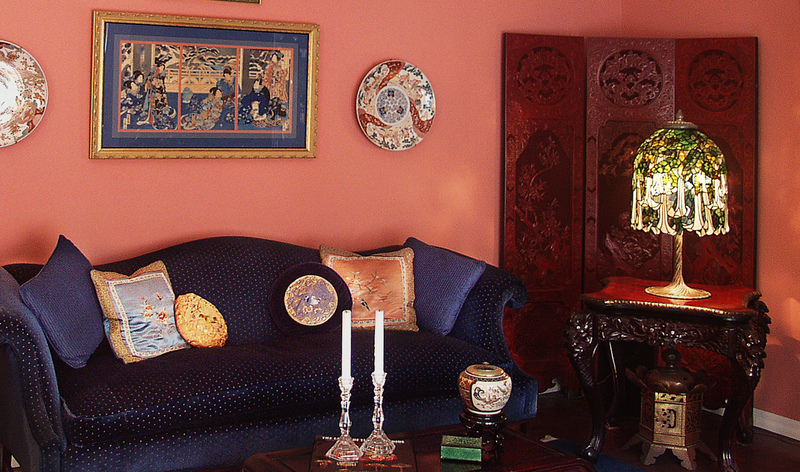 Preston Studios has originated many of these shades, both large and small, featured in the dome shape.